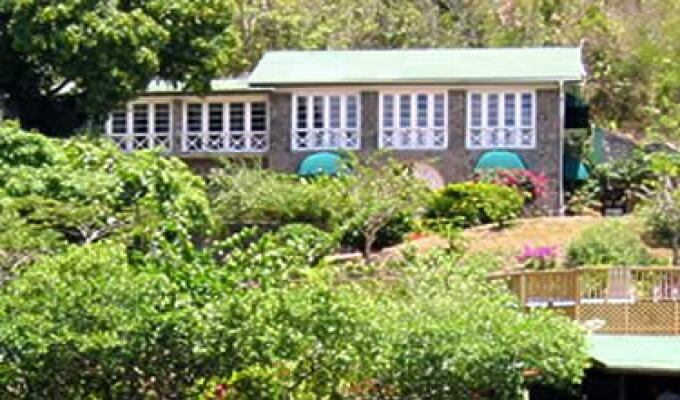 The old Mango Beach, a landmark building in local stone, overlooks the inner bay and is the only bed and breakfast inn with its own dock and a boardwalk directly to Marigot's famous Labas beach. Once known as the Seahorse Inn, Mango Beach is landscaped into the hillside with walking trails up to the ridge which has stunning views southwards towards the mountains and the Caribbean Sea. Mango Beach has four en suite guest rooms. Three of them open onto garden patios and the fourth is a courtyard room with a child's bedroom attached. All the rooms have fridges and most have air conditioning and fans.